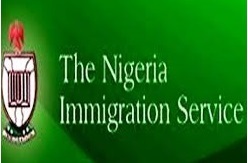 2015 Immigration Recruitment – Here, you will be able to access information and get guidance on procedure to apply for the 2015 Nigeria Immigration Recruitment Exercise. This to inform the general public that the 2015 Nigerian Immigration Recruitment Exercise is on. Interested and suitably qualified candidate are hereby informed to apply for appointment into various vacant positions in the Nigerian Immigration Service.